VANDENBERG AIR FORCE BASE -- NASA's first spacecraft dedicated to measuring carbon dioxide in Earth's atmosphere, a critical new data-gathering project for scientists and policy-makers, is awaiting launch Tuesday morning. 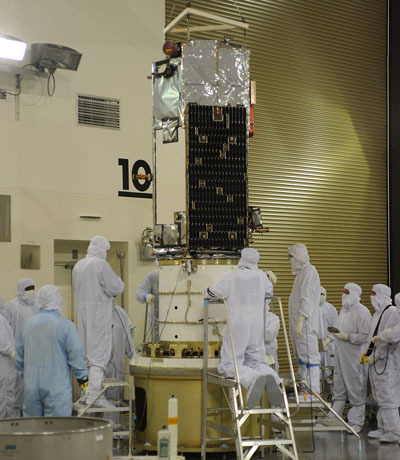 The $467.7 million Orbiting Carbon Observatory 2 mission follows the lost OCO 1 spacecraft that was destroyed in a Taurus XL rocket launch mishap five years ago. Ready to try again, NASA has picked a different launcher -- the venerable Delta 2 -- and built a new observatory to watch the Earth breathe from space. There will be a 30-second opportunity daily to launch OCO 2 from Vandenberg Air Force Base in California. Liftoff of the United Launch Alliance Delta 2 rocket is timed for precisely 2:56:44 a.m. local (5:56:44 a.m. EDT; 0956:44 GMT). It will take 56 minutes from blastoff until the Delta's second stage deploys the 7-foot-tall, hexagon-shaped observatory into a preliminary 426-by-434-mile orbit inclined 98.2 degrees to the equator, circling from pole to pole. 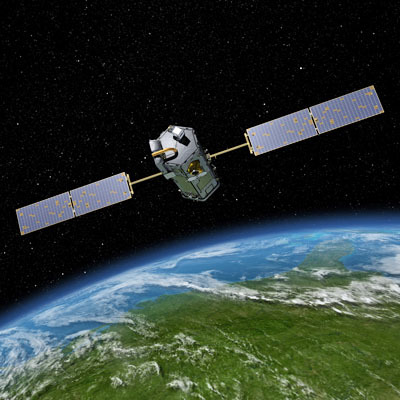 "OCO 2 is our first NASA mission dedicated to studying carbon dioxide. This makes it of critical importance to the scientists who are trying to understand the impact of humans on global change," said Betsy Edwards, OCO 2 program executive with the Science Mission Directorate at NASA Headquarters in Washington. The spacecraft will join NASA's 17 other operational Earth science missions in taking the planet's vital signs. "OCO 2, in particular, will measure global concentrations of carbon dioxide and watch the Earth breathe as we measure the greenhouse gas that drives climate change." Built by Orbital Sciences Corp., the 999-pound, refrigerator-sized satellite carries a sole instrument to do the two-year mission, collecting 69,000 individual measurements each orbit of Earth and 8 million per 16-day global mapping cycle. "With that one instrument, we're going to collect hundreds of thousands of measurements each day, which then will provide a global description of carbon dioxide in the atmosphere. It is going to be an unprecedented level of coverage and resolution, something we've not seen before with previous spacecraft," Edwards said. The device is a three-channel, high-resolution spectrometer fed by a common telescope to measure carbon dioxide and molecular oxygen absorption of sunlight reflected off the same location on Earth's surface. The instrument works in the near-infrared part of the electromagnetic spectrum, invisible to the human eye. "We are excited about the science we'll do," said Annmarie Eldering, OCO 2 Deputy Project Scientist from JPL. "The OCO 2 mission collect the measurements with the accuracy, coverage resolution that we need to answer these important questions about where carbon dioxide is being absorbed and released in the natural global cycles across the globe." The launch comes five years since the OCO 1 satellite was lost when the Taurus rocket booster failed to jettison its nose cone on Feb. 24, 2009. "On behalf of the entire team that worked on the original OCO mission, we are excited about this opportunity -- this opportunity to finally complete some unfinished business." After another Taurus failure, NASA switched OCO 2 to the Delta 2 rocket that has flown 151 times, including 50 times for the space agency. 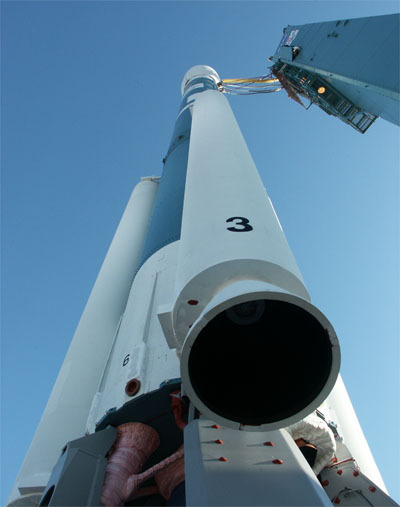 But the Delta 2 has been idle for the past two-and-a-half years, a hiatus of sorts awaiting suitably-sized payloads to carry into space. Its East Coast launch site at Cape Canaveral has been mothballed, meaning all future flights will originate from Vandenberg. Three additional launches are booked in the coming years and one further rocket is available for purchase before the production line is permanently turned off.